Posted 31 January 2019 . Sun, sea, sand and safety in the surf - that's what everyone imagines when we think of lifesavers. But for William Chan, the role of lifesaver has much more meaning this Lunar New Year. 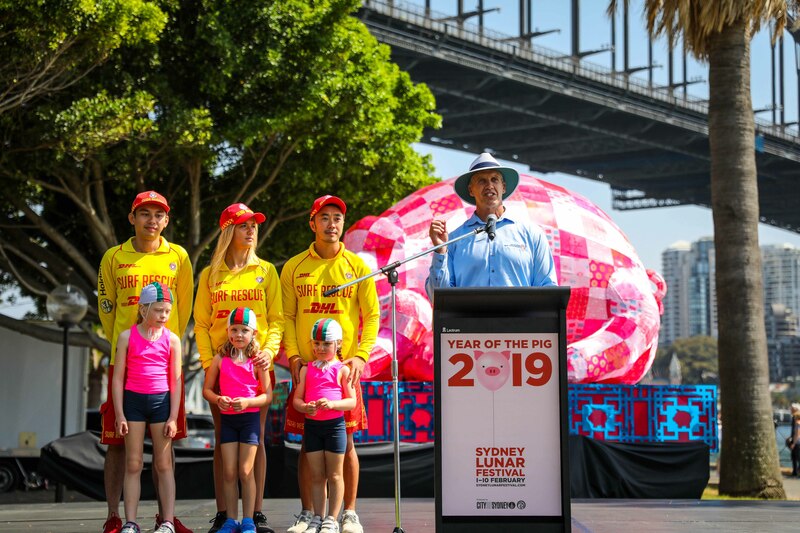 William will help host a pop-up beach in Circular Quay as a member of Surf Lifesaving NSW - the City of Sydney's charity partner for Sydney Lunar Festival, which runs from 1-10 February. "It's a fantastic way for the City of Sydney to bring different cultures together, celebrating the tradition of Australians on the beach," William said. "Surf Lifesaving NSW hopes to raise awareness for tourists and newly arrived migrants and help them understand the beach is there for everyone to enjoy, but to be aware of the dangers. "Sydney has many beaches near the city and this is a highlight for people wanting to visit our global city. "Our pop-up beach will be near the Sydney Opera House and Harbour Bridge, so it's a great way of bringing the city's major attractions together. I hope everyone will have the chance to enjoy it - including relaxing on the deck chairs." First Fleet Park in The Rocks will be decked out in beach chairs, umbrellas and a blow up ball pit, and visitors can take part in interactive educational water safety sessions, CPR competitions, children's entertainment and make-your-own zinc workshops. Volunteer surf lifesavers will be on hand to demonstrate everything there is to know about being safe in the water. Red and yellow flags will also fly high in the sky at the pop-up beach - colours that are considered to be lucky during Lunar New Year. "It's something that I've only thought about recently," William said. "But in Chinese culture, the colours red and yellow mean success, prosperity and wealth - and they are the colours of the Chinese flag. On the other hand, in Australia, red and yellow flags symbolise safety and demonstrate a supervised area of the beach." Lord Mayor Clover Moore said: "It's fantastic to have Surf Lifesaving NSW as our charity partner for the Sydney Lunar Festival - their volunteers do incredible work keeping our beaches safe for everyone all year round. "The pop-up beach shows what a wonderful cultural mix we have between the beach and city lifestyles - I encourage visitors to the festival to drop by and to enjoy it as part of the City's incredible line-up of events." 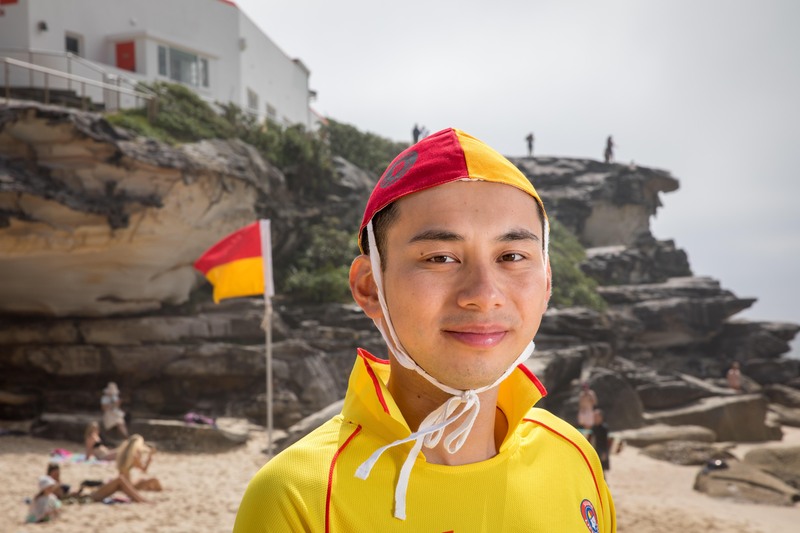 William moved to Sydney from Hong Kong at the age of three and learnt to swim in a local pool, but it was years before he became confident enough to tackle ocean swimming with big waves. Tamarama Beach in Sydney's eastern suburbs provided the perfect opportunity to toughen up for the surf, and he joined the club in 2013 when he was 24. "At Tamarama the training was quite rigorous, and learning how to conquer the waves helped me improve my skills," William, who is also training as an architect at Cox Architecture in Sydney, said. 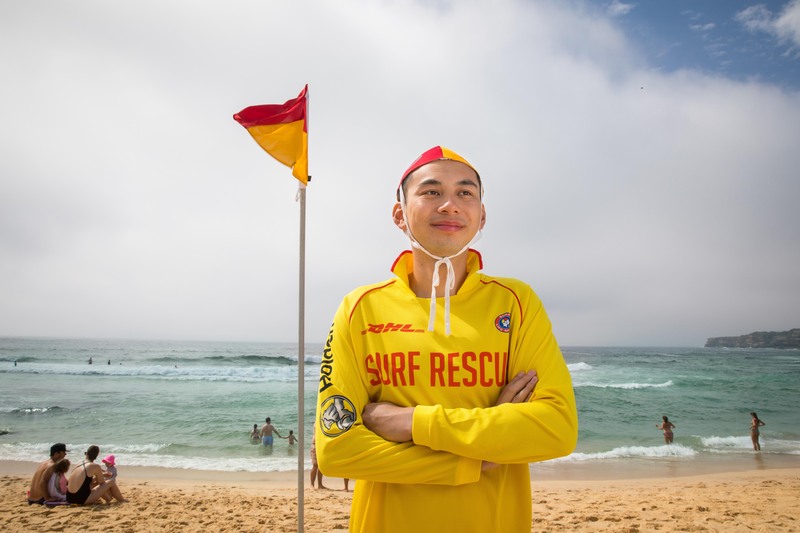 As a previous recipient of the Tamarama Surf Lifesaving Club Chief Instructor's Award, he helps newly arrived migrants, refugees and international students understand surf safety. "I was very interested in the community aspect of lifesaving and wanted to improve my surfing ability, keep fit and be part of a club where I could learn new skills and maintain my fitness," William said. His commitment to the community led to him being selected by Tamarama Surf Lifesaving Club to be a youth representative at the 73rd Session of the UN General Assembly in September 2018. At the UN General Assembly, a historic declaration - The UN Youth 2030 Strategy and UNICEF global education and training partnership 'Generation Unlimited' - was unveiled by Secretary-General Antonio Guterres. "The opportunity to voice my experiences in community service to global leaders at the UN was surreal and an incredible honour. I'm very keen to share the youth development and leadership skills learnt back at my surf club," William said. "I'm passionate about the community outreach that surf lifesaving promotes to youth, particularly in response to the crucial need for social inclusion, diversity and education." William was also a UNICEF Young Ambassador for Australia at the UN during the 25th anniversary of the UN Convention on the Rights of the Child in 2014. Sydney Lunar Festival is the largest celebration of the Lunar New Year outside of Asia.